Ariyana Smith lay on the court for four and a half minutes before her team’s game on November 29. She did not know that she would be the first in a historic movement of athletes speaking out against police violence. The St. Louis Rams, Derrick Rose, LeBron James, Kobe Bryant, the women’s hoops teams at Notre Dame and Berkeley… none of these folks can say that they were the first athlete to bring the #BlackLivesMatter movement into the world of sports. That was Knox College’s Ariyana Smith. On Saturday, November 29, before a game against Fontbonne University in Clayton, Missouri, Ms. Smith made the now iconic “hands up, don’t shoot” gesture during the national anthem before walking toward the American flag. She then went prone on the floor for four and a half minutes, preventing the game from getting under way. It was four and a half minutes because Ferguson’s Michael Brown lay in the street for four and a half hours after being killed. Since that time, Ms. Smith has taken a crash course in the blessing and burden of what it means to be an “activist athlete.” I was able to speak to Smith. Her experience is well worth reading and sharing by both activists and athletes alike. Dave Zirin: At what point did you make the decision that an on-court display of activism was something you were going to do in Clayton, Missouri? 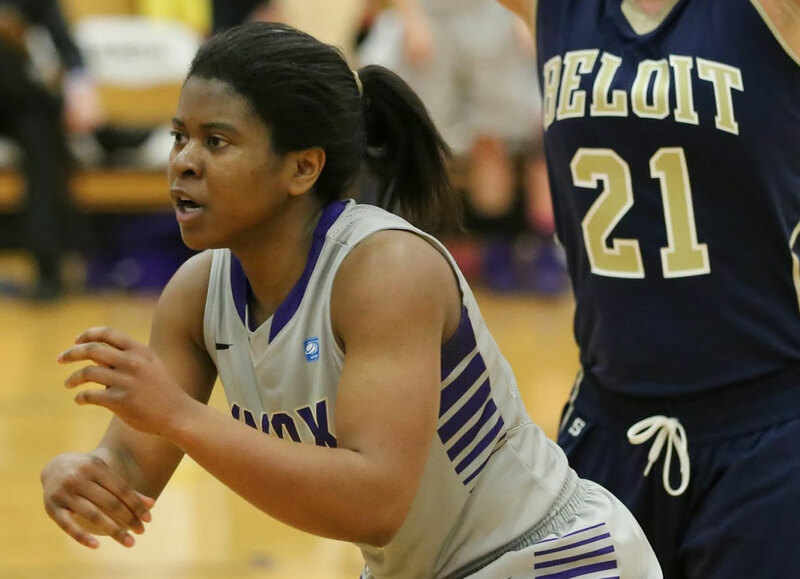 Ariyana Smith: Essentially, about a week and a half before our game, the athletic director called us into a meeting and said, “Hey, your safety is all of our concern, and we’re looking to see if we’re going to reschedule the Fontbonne game at Knox, or whether we’ll play at a neutral site so, we’ll get back to you all.” I knew we were playing in Missouri, but now I wondered: How far is Fotnbonne University from Ferguson? It turns out Clayton is actually in St. Louis, only about twenty minutes away from Ferguson. I assumed we’re going to have a further conversation about what’s going on, the implications of it, the gravity of what this means. There was never that conversation. We were never told we were going to be that close to Ferguson. We were never told that, “Hey, the National Guard has been deployed here within the past week.” We were never even given that information. So I just waited. I had already been following the protests. I had been following the people on the ground, and I had been following the live stream and I was looking at the photos. And when I heard that [a friend named] Patrick didn’t stand during the national anthem during our last game, I felt guilty. Because while I was standing during the national anthem, it felt wrong and I knew that it felt wrong to stand and salute. So right then I said, “This is what I can do. This is something I can do. You know, it’s not much, but I can make a gesture.” At same time, I was still waiting to hear back from the athletics department to see if we were even going to be in Missouri. It comes to Saturday and again, nothing was said. So I had to do something. We arrived in Clayton. We went onto the court. I took off my warm-up jersey. I raised my hand in the air, knelt at the flag and on the last line of the national anthem I collapsed to the ground, and I lay there for four and a half minutes. While I lay there the trainer came over and tried to shake me and tried to get me to stand up. They were asking me if I was OK. My coach walked over and all she said to me was, “Ariyana, you need to move. The ref won’t start the game until you move.” After four and a half minutes, I stood and raised the black power salute. I held that for thirty seconds and continued to walk out of the gym with my fist still raised. DZ: Can you talk a little bit about the thoughts that were going through your mind during those four and a half minutes? AS: I tried to tried to think what I was down there for. And what being down there on the floor meant. Being on the ground… it was symbolic. It was a symbolic death. And I think the reactions to that demonstration were very telling. I think the point of what I did was to demonstrate why I felt and still feel so stifled [at Knox]… why I feel like I’m not being heard. I had been telling the athletics department, I had been telling Knox College in general, we are not doing enough. We give lip service to the idea of diversity. We give lip service to the idea of freedom of expression and freedom to flourish. That’s actually our school’s tagline, it’s “freedom to flourish.” We give lip service to those things, but when it comes down to supporting students in the ways we need to be supported, not just when we’re basketball players but supporting us when we take off our uniforms, that doesn’t happen. Supporting us as academics, supporting us as black people, as survivors of sexual assault. That support isn’t happening and marginalized voices are not being heard. So I had to do a physical demonstration. DZ: There have been some conflicting reports about what occurred after you left that gym. Can you give the narrative about what actually took place? DZ: How did you get reinstituted on the team? AS: Now the administration was flailing back and forth. Because they had been involved in this. What was told to me was that the suspension was at the coach’s discretion under the approval of the athletic director and it went past the president’s desk. So [Knox College] President Theresa Amott was also involved in this decision to suspend. The president of the institution that is purportedly the home of the underground railroad, abolitionist history, you know, says, “freedom to flourish” and “we support diversity” and we’re one community, but she let this decision go through. So I think that in and of itself says a lot about what the administration actually values, what our athletic department actually values, versus what they’ve been saying. DZ: Why did they rescind the suspension then? AS: Because it went to the media. If this was just internal, I don’t think they would’ve reversed the decision. [But] I haven’t returned to the team, because I know that is an environment that is not conducive to my growth. It’s not a space where I’ll be able to operate healthily. It’s just not a space to have to endure treatment from racists and people who have demonstrated that they don’t care to learn about who you are and what struggles you face in life. It’s just not a really healthy environment right now. I don’t want to return to that. DZ: Have your teammates had your back through this? [At the next game] they linked hands, raised them in the air, and they had my initials and my jersey number written on their wristbands. I mean, I think in all of this I was hoping that the attention wouldn’t necessarily be on me. I’m just glad to see the larger collective action. I was hoping to spark larger collective action. DZ: You did this at Knox college, which is obviously not a sports factory. The coach and AD come down on you like a ton of bricks, and now you got entire teams at places like Notre Dame and Berkeley, real sports factories, all wearing “I Can’t Breathe” shirts, or the names of people killed by the police, and they’re getting applauded by their coaches and athletic directors. How does that feel? AS: It gives me hope. It gives me hope because now these coaches and players have stepped out to say, “Hey, this is wrong.” But now that they’ve made a statement, I hope they follow up on it. When it comes down to it, yeah, they may be happy with a shirt, but what if one of their players decided to protest on the street? Would the support be as strong? I’m happy to see that there are positive responses but I’m not sure about the intensity of the support, if that makes sense. You know, I’m just a person who’s willing to make sacrifices, who’s willing to take risks to see if larger conversations can be sparked. I’m willing to be the person to ask the first question with hopes that there are other people around me that are likeminded. Just like my teammates who said, “I think that what she did was great, but I wasn’t ready just yet.” I’m glad that all these athletes are coming out to do this. Because now it’s right in front of everyone’s faces. Now you have to address it, you have to acknowledge it. DZ: Last question, do you have any sports and politics heroes? Who are political athletes whom today you’ve looked to as a role model or inspired you to do what you did? AS: Yeah. I’m actually trying to brush up on my history. Because that wasn’t something that was the focus during my high school or primary school education but in passing I have heard the words of Muhammad Ali and the stances that he took while he was a boxer. I remember in seventh grade flipping passed the 1968 Olympics, the picture of Tommy Smith and John Carlos. Honestly, I wouldn’t have been able to tell you their names before now. But those are images that I remember. I remember back in high school, hearing about [NFL punter] Chris Kluwe and what he was doing to speak out against what was going on in his field. So those are just some of the names. It was never a conscious, “Ah yes, this is someone I want to be.” Just looking at this and seeing the work that they were doing, as athletes, and as people. I think now that those moments remind me that, yes, this is something that is not new. This hasn’t happened often in our times. But there are patterns of athlete activism. This is not without precedent. Thanks to Talal Ansari for transcription assistance.